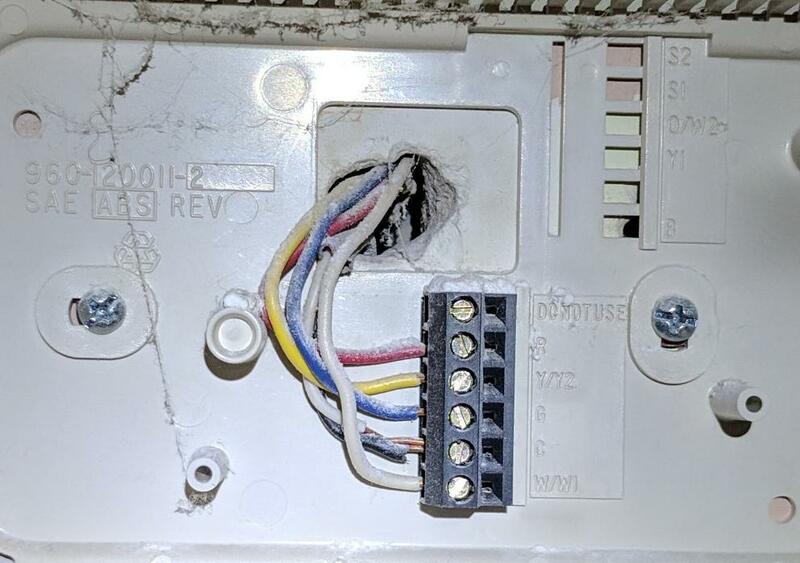 Trying to help my dad install his new Nest thermostat - for some reason his thermostat has two wires going into the C terminal. I've searched and cannot find any other question about a setup like this. I'm wondering what kind of system may have caused this? My thought is to abandon the C wires altogether and just install the Nest without them, since apparently it's not required.